I have visited North Wales many times throughout my life starting with family holidays to Llandudno in the 1970s when I was quite young. The whole region is wonderful. Beautiful, historic, traditional and with many wonderful things to see and do. My memories of those old family holiday and the many subsequent visits have given me the inspiration to put this semi-autobiographical book together so I can introduce you to the marvellous North Wales region and what a great place it is to visit for a holiday. Or perhaps you are interested in the history of the region. I cover both aspects â€“ travel and history â€“ inside. I have written about my favourite places to visit in North Wales, Llandudno and Snowdonia including photographs â€“ some of which are my own from the 1970s so you get something of a look back in time to what Llandudno in particular looked like back then. 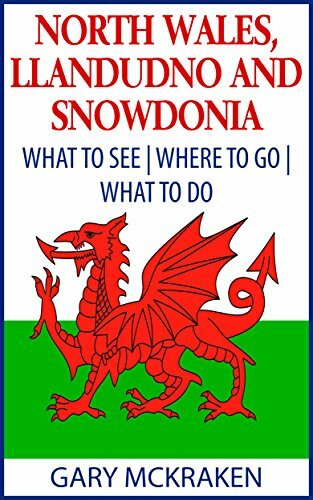 Inside the book you have my take on many of the excellent sights in the region based on my own visits to Llandudno itself and then venturing out to other places such as Anglesey, Mount Snowdon, Portmeirion, the slate mines and many more. I hope you enjoy this semi-autobiographical guide to North Wales and Snowdonia based on my photographs and recollections of my time there. This book is approximately 13,000 words long. You can be reading your copy of North Wales, Llandudno and Snowdonia within minutes by purchasing today. Read it on your Kindle, Tablet, Laptop, Smartphone or other device.